Escape to your own neighborhood hideaway at the Hotel Drisco, a romantic hotel in San Francisco. 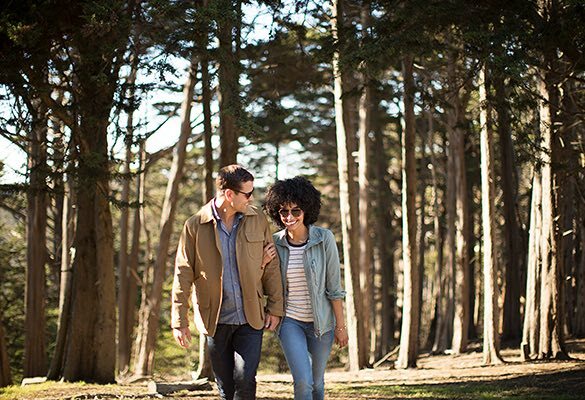 Our carefully curated packages and specials provide a serene, relaxing getaway, whether you’re on a romantic weekend and want to feel like you’re the only couple in town, or you’re here on business and need a boutique San Francisco hotel that’s a home away from home. Explore our scenic city on two Shimano 7-speed bicycles, available for one full day as a part of your stay. Stop for a gourmet packed picnic lunch and enjoy a luxurious hot soak after a day of riding. 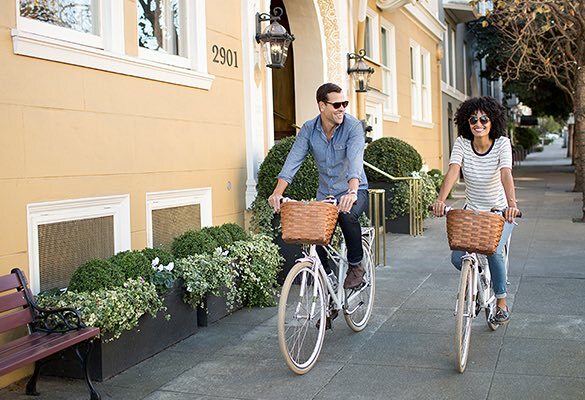 Call us at (800) 634-7277 to book the Bike Around Town package. Experience a honeymoon high during your stay at the Hotel Drisco. Feel like you’re staying in your own private mansion atop San Francisco’s most exclusive neighborhood. Nestled in your opulent guest room with luxurious bedding and special amenities, the Drisco’s thoughtful staff are poised to anticipate your needs and share insider tips on the coziest dining spots and romantic city sojourns to enjoy. Call us at (800) 634-7277 to book the Romance package. Celebrate birthdays in quintessential San Francisco style and treat your loved one to a little birthday pampering. After the party, retreat to a hotel unexpectedly nestled among grand mansions and with postcard views of San Francisco. Call us at (800) 634-7277 to book the Celebration package.